Did you know 98 percent of basements will experience some sort of water damage during their lifetimes, according to industry estimates? 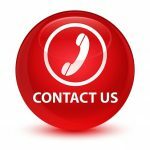 Be it flooding from rain, an appliance malfunction, faulty plumbing, or burst frozen pipe, a sump pump can be the difference between a dry basement and expensive home water damage. A sump pump is often installed in the lowest level of the house to keep a crawlspace or basement dry. A pit is dug out beneath the foundation flooring, going down at least two feet deep, to house the sump pump. As the pit fills–either from water seeping in through the foundation or from drains directed into the pit–the pump turns on to redirect the water out of your home. 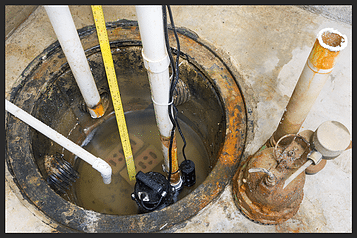 While there are variations on how sump pumps work and how sump pumps are installed, the main goal is for it to act as a safeguard to collect water entering the home and remove it to eliminate flooding and water damage. A sump pump is only good at removing incoming water if it’s in proper working order. Routine maintenance can help you avoid sump pump failure. However, if you’re stumped by why your sump pump isn’t working, here are a few culprits that could be causing the problem. No juice: If the power goes out during a storm, your sump pump won’t be able to drain the water. Have a backup generator on hand specifically for your sump pump in order to avoid water from pooling in your home. Wrong size: Too small a sump pump for your home’s size can mean too big a job for it to handle. On the flip side, running too large a sump pump can shorten its lifespan. Work with a professional to make sure you install the right size sump pump for your home’s needs. Old age: Just like any appliance, the years can reduce the efficiency and working order of your sump pump. The average lifespan of a sump pump is roughly 10 years. If yours is creeping up in age, consider replacing it with a more current model. Clogged pipe: Debris can enter your discharge pipe and create a backup. With nowhere for water to flow, your sump pump will come to a stop. Consider installing a protective cover or mesh grate to keep the pipe free and clear. No maintenance: Your home and the appliances that make it run require regular maintenance. Clean your sump pump three to four times a year to avoid blockages in your discharge line, vents, and floats. Switch issues: When the sump pump shifts in the basin, the float that administers the switch can cause it to become jammed. When cleaning the sump pump, check the its position and adjust it as necessary to avoid a future stuck switch. Product or installation problem: In addition to product defects, which are out of your control, improper installation can also cause sump pump failure. Always follow manufacturer instructions when installing a sump pump or bring in a skilled professional if sump pumps are new to you.